This video has been around since January, but it’s recently resurfaced again online, and the only thing one can say is wow. Wow wow wow wow wow. 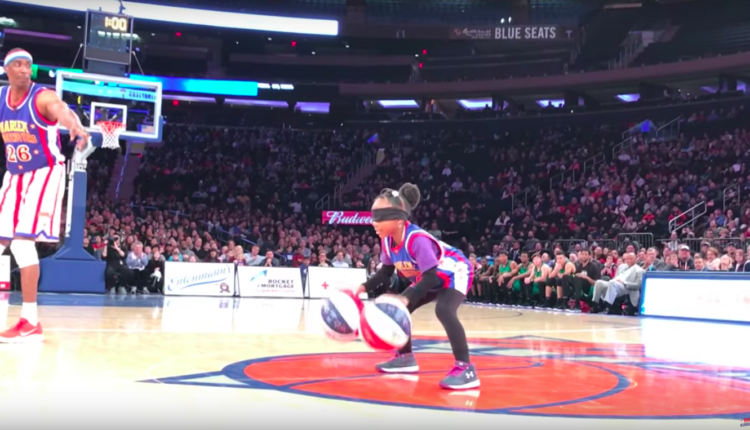 When an eight year old girl had a chance to show the Harlem Globetrotters her incredibly sweet basketball tricks, the results were incredible. Check them out below. 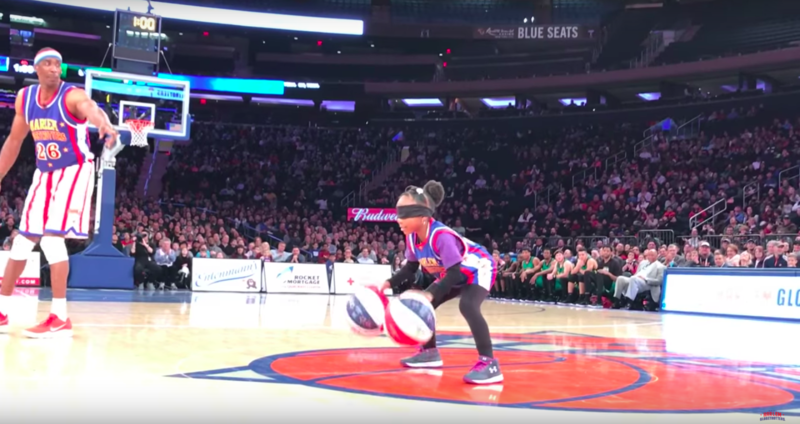 The little girl, eight year old Samaya Clark-Gabriel goes for all the best tricks in this showcase at Madison Square Garden. Samaya goes for an under the legs dribble, then a behind the back dribble. Then, she bounces the ball and does the now internet famous backpack kid dance as if she was an extra in that Katy Perry “Swish Swish” video. The young girl then continued to dribble two basketballs, then dribble two basketballs with alternating hands while being frickin’… blindfolded. It’s impressive. Really really impressive. So impressive that when she goes for the split, the basketball player standing next to her goes, “okay, that’s enough”, raises her in the air, and lets the entirety of Madison Square Garden cheer for her. What do you think of the adorable basketball video? Let us know in the comments or on Twitter at @WhatsTrending.